Final one of the week for us, and due to the Bank Holiday weekend in the UK, this will have pride of place on our site until Tuesday. 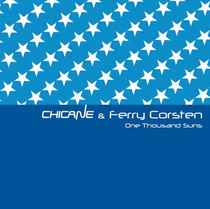 As soulful as we like to start the week off, you know we like to finish it with something epic - think we found it here with this collab between Chicane and Ferry Corsten. Both pioneers of the early trance sound, what they’ve produced here is an anthemic slice of dance music that is perfect for end of the night magic, or just a euphoric journey of high-octane sounds. We’ve been sitting on this for a while, as we thought it was due as a Beatport exclusive on September 3rd! But, it seems to be out this week, so the review’s now as it’s just dynamite for your weekend playlist. Our fav is the original mix, but there are quite a few to choose from. The Soundprank remix is similar but has a tougher bassline. Danny Howard ups the tempo with big sythns, beats and a breakdown that nearly sounds like an alternative version of U2’s ‘Where The Streets Have No Name’ at the beginning. Finally, the Disco Citizens mix takes it down a more proggy, electro route. They’re all good mixes and all very playable. We just like the ‘happiness’ of the original best. Check the video out below.